At Security First (UK) we have been installing access control systems for more than 20 years and are extremely proud of our design and installation heritage. We predominantly install Paxton access control systems although we have installed many other brands over the years, depending on the client’s specific requirements. We continuously choose Paxton access control as our primary access control solution due to their comprehensive and innovative range of first class products, their reliability and their simplicity of use for our clients. They also have one of the best technical help teams in the UK and fully support their products under a comprehensive guarantee structure. Over the years we have installed some biometric fingerprint readers; some of which have been standalone units, some part of a networked system, some interfaced into the Paxton Net2 software and some to other brands such as TDSi. Be aware – not all biometric fingerprint readers are the same. 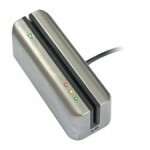 There are various technologies available – some are more advanced and less susceptible to substitution – for example certain types of optical readers can be made to think that a finger has been presented when in fact it was a picture or scan of a fingerprint. 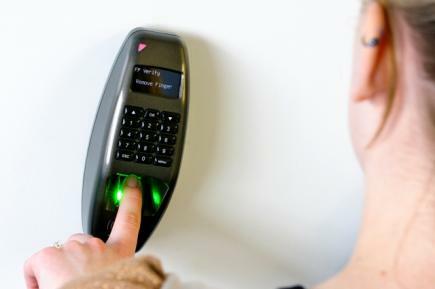 Readers incorporating more advanced technologies can stop this from happening and good quality biometric readers have technology that ensures a live finger is indeed present. 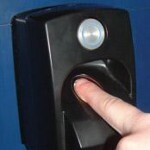 When it comes to biometrics you also need to look at the robustness of the unit; does it work in dirty conditions or adverse weather, does it seamlessly interface to the access control system of your choice, how easy is it to programme new users and maintain the database, how often will the reader not recognise a valid print, and how quickly a fingerprint is scanned and access granted: it might be acceptable for it to take a few seconds if you only have a few staff but not if you have several hundred. Also, does it look reasonably discreet and fit in with your décor, if that is an issue? We have recently discovered the ievo biometric range. We don’t normally get too excited about equipment, but the ievo products look good. Not just on the technical side, which seem excellent, but on the aesthetic side. 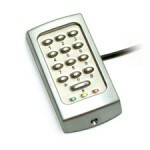 They are dinky units and can be supplied in a vibrant range of colours. 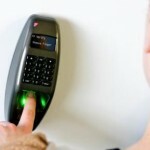 Even better, they function seamlessly with Paxton’s Net2 software and can therefore be integrated into an existing Paxton networked system, or be included in the design of a new system that may use a mix of biometrics and standard swipe or proximity readers. Biometric fingerprint readers may be chosen instead of conventional tag readers or PIN code keypads because they are more “secure”. Tags or codes can be passed to other people. Fingers generally cannot! You also have the convenience of not having to remember to carry your tag or remember your code. A company could use a biometric reader for its main entrance as a sign of modernity, or perhaps as an added layer of security to their comms area, archive or stock room. To mitigate costs on a multi-door access control system it is likely that a biometric fingerprint reader will co-exist on the access control network together with conventional prox, swipe or keypad access control products. Security First (UK) is a leading provider of professional security solutions with over twenty years experience protecting commercial, educational, financial, religious, residential, and retail establishments, providing them all with an exceptional level of design, installation and on-going maintenance. Why use Security First (UK)? Why install a security system? CCTV – HD-TVI or IP – Which to Choose? Live Video Verification – What is it? Why Use an SSAIB Registered Firm? © Copyright 2018 - Secureworld Ltd. All Rights Reserved.